If you have your heart set on cladding your home with fiber cement siding, you have only a limited number of brands to choose from. You probably know James Hardie, Allura, and MaxiTile, but have you heard of Nichiha siding? One of the benefits of Nichiha siding, is its lower cost compared to very popular Hardie siding. Average cost to install Nichiha siding is $7.97 per square foot, or around $12,750 for a typical 1600 sq. ft. home. Compare that to $9.21 for one sq. ft. or $14,900 for a typical home done Hardie Plank, which is 15% more expensive. Nichiha is a Japanese fiber cement siding manufacturer, specializing primarily in commercial siding projects around the globe. However, in recent years, Nichiha has ventured into the US residential siding market, with an impressive line up of beautiful siding options that will fit any architectural house style. If your house exterior calls for a premium material, Nichiha siding offers superior products compared to other brands, both in terms of looks and quality. Here are 5 reasons why you should install Nichiha siding on your house. If you want fiber cement siding that closely replicates the look of real wood, Nichiha siding is by far superior to other brands. To create this natural wood look, Nichiha uses a proprietary procedure that puts tremendous pressure on the product, during the stamping process. This results in deeper grooves, more pronounced shadows and less pattern repetition. Another aspect of the system that results in this great aesthetic are the hidden installation clips. Moreover, all Nichiha wood products have a built-in rain screen system, which offers an additional layer of durability and prevents moisture infiltration. All products are resistant to rot, mold, warping, insect infiltration and fire. They also have a proven resistance to snow, hail, rain and temperature fluctuations. While there are many wood siding products to consider, most contractors and homeowners love the look and feel of Sierra Premium Shake. 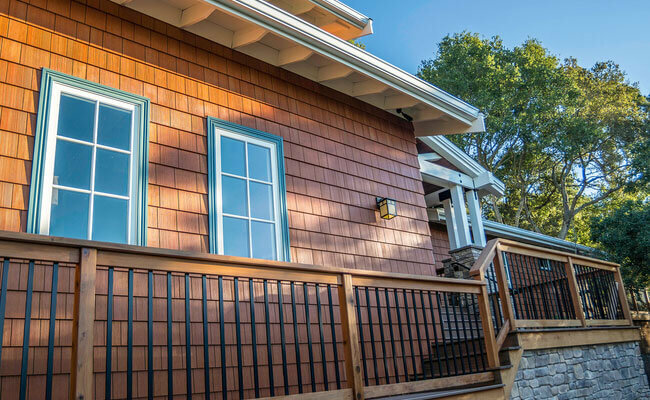 This gorgeous siding is ideal for a high-end exterior remodel on both contemporary and rustic style homes. It is 1/2 inch thick, making it the thickest and most durable fiber cement shake on the market. Sierra Shake is available in 4 color options: Hazelnut, Terra, Shadow and White (primed). NichiFrontier is a more budget friendly shake option, that is available in 3 finished colors: Terra, Hazelnut and Shadow. If you want to paint your shake siding a custom color, you can choose primed NichiStaggared or NichiStraight shakes. Both feature beautiful deep contours of real cedar grain. Finally, if you want to create a truly custom siding, your best bet is factory finished NichiShake. This exclusive product comes in individual shake boards. They are available in a variety of widths, creating a visual effect that closely replicates the look of hand cut cedar shakes. Since Nichiha has 60 years of experience as a global commercial siding manufacturer, their residential products have markedly higher durability than other residential fiber cement products. Unlike other fiber cement manufacturers, Nichiha pours the fiber cement into a solid mold. This process helps prevent delamination at the edges from moisture infiltration. Moreover, every product has three protective coatings. Two coats of primer and one an anti-efflorescence coat, which prevents chalky residue from appearing on the siding. As a result, all Nichiha siding holds paint better and looks as good as new as long as 15 years. One example of this superior durability is that when hurricane Sandy hit central New Jersey, homeowners who had Nichiha siding reported no damage, while a few homes that had Hardie Board required repairs. Until recently, James Hardie was the only company that offered a fiber cement architectural panel option. It does not have many style choices and is rather difficult and time consuming to install. So much so, that contractors who have experience with it, do not recommend installing these panels. Many siding pros find that Hardie panels are challenging to work with, because they are very heavy, and put a lot of wear and tear on the tools. Moreover, the corners of the panels crack and the edges spar. You also need special tools to cut these panels. Lastly, while Hardie panels look great from a distance, they fail to impress up close. By comparison, Nichiha architectural panels offer an impressive array of style, texture and color options, and are much easier and faster to install. 1. Nichiha Illumination: these panels are designed for premium homes. These panels have a smooth satin finish and can be painted in virtually any custom color. With Nichiha’s exclusive Color Xpressions system, you can choose any color imaginable to create a one-of-a-kind aesthetic for your house. Builders and homeowners describe the Illumination line as “sleek, bold, and vibrant”. Illumination panels are 18” tall and up to 6 ft long. They interlock at the top and bottom, creating a clean joint. These panels are twice as thick as Hardie panels and are installed with clip fasteners, which are hidden from view. 2. Architectural Block: ideal for siding design that calls for a modular look. These panels are available in three beautiful colors: Mocha, Tuscan and Gray. They look best paired with other siding materials such as wood, metal or glass. 3. Vintage Wood: if you prefer the look of wood, there are panels available in either Bark or Cedar finish. These are perfect for both modern and rustic architectural styles, and will look great as accent siding sections. 4. NichiPanel: this product delivers the best value if you are on a budget. NichiPanel is available in 3 different sizes and 4 unique textures (cedar, stucco, grooved and smooth). They are factory primed, so you will need to paint them after installation. These panels are ideal, if you are looking to cover large areas quickly and economically. It says a lot about a product, when a professional siding contractor chooses to recommend it to their client. Most contractors are familiar with Hardie siding, which at this point is the industry standard. When these contractors try Nichiha siding, they find it to be a superior material, in terms of looks, durability and ease of installation. Contractors that have installed both Hardie and Nichiha, report that both Nichi Panels and Shakes are thicker, stronger, and have a more realistic wood grain impression than Hardie. While any fiber cement siding product cannot be considered green, Nichiha put in a lot of effort to minimize the negative environmental impact of their products. The company achieves this by using more fly ash and less silica in their fiber cement formulation. When airborne, silica poses a serious environmental and health threat. It is known to cause cancer when inhaled in large amounts over a long period of time. Thus, significantly reducing the amount of silica in its fiber cement, Nichiha helps protect the environment and most directly contractors who come into immediate contact with the material during installation. By contrast, fly ash is a natural byproduct of coal-burning power plants. By using it in its manufacturing process, Nichiha improves product performance, and at the same time prevents a substantial amount of post-industrial waste from going in a landfill. Lastly, all Nichiha products, are made with more than 50% recycled content. Nichiha is priced very competitively compared to top brands such as James Hardie siding and Allura. You can expect to spend about $7.5-10/sq.ft. on materials and installation of most Nichiha products. You can also use our Siding Calculator to quickly estimate the cost of your siding project using different materials. Because Nichiha is so new to the US residential siding materials market, there are a few issues to contend with. 1. Many Residential Siding Contractors Will Not Install Nichiha (and some, never even heard of it). In general, reputable siding contractors have a rule that they only install products that they have extensive positive experience with. No contractor wants to risk their reputation on installing a siding material that they are not sure will last. Plus, if a product fails, they have to come back and repair or replace it, depending on their warranty terms. Since most siding contractors don’t know Nichiha, they will most likely refuse to install it. Chances are, they will recommend James Hardie instead. If you really want Nichiha siding, you will have to find contractors that have successful experience installing it in your area. 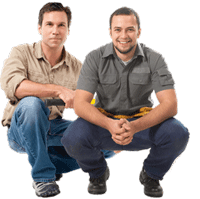 Contact Nichiha customer service, and they may put you in touch with the right local installer. Currently, Nichiha is working hard on reaching out to siding pros across the US to educate them about their products. As a result, more and more contractors are interested in suggesting it to their clients. Before you get really excited about a particular Nichiha siding product, make sure it is available in your area. NichiProducts (NichiBoard, NichiPanel, NichiShake, NichiStaggered, NichiStraight, NichiSoffit, NichiTrim, and Batten Strips) – available in the following states: Alabama, Arkansas, Delaware, Georgia, Florida, Kentucky, Louisiana, Maryland, Mississippi, North Carolina, South Carolina, Tennessee, and Virginia. I live in northern Vermont. Do you have distribution of the product here? I live a little west of Nashville, TN. Are there contractors that install in my area?